I am a renaissance man from the last century, who likes arts, films, literature, good poetry and novels. They fill my heart and soul and become a piece of art in me. My inner world I create from shining, glittering mosaic tiles, and I present it to you. This is me. I learnt the basics of mosaic tiling by self-education. Creating a piece of art is not work for me, but a process, in which I can live my fullness. Every new image allows me to try a new technique, I like to experiment with colors, different mosaic types, forms and light effects. Regarding the style of my mosaic images, romanticism is to be found, as well as the love of nature and saluting former great artists. 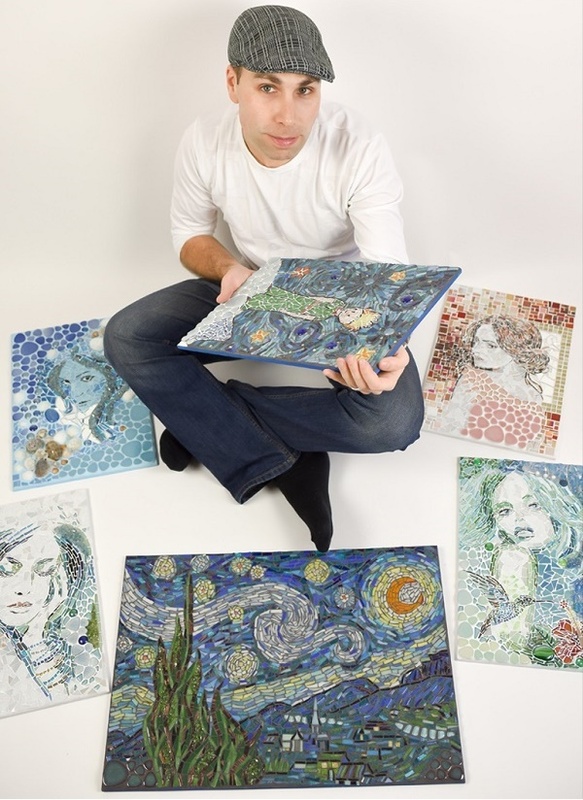 If you want to know more about me, just enter my world, and let my mosaics talk about me.